Now THAT is a bus that DESERVES to be preserved!!!!!!!!!!!!! Some Dayton photos that are interesting........enjoy! If that bus was modified, it would not have much value for "purists". I don't ever remember seeing one like that from the factory, but someone said they did towards the end of their production. Go to page 7 on the "GENERAL BUSES" board, and you'll see a thread I started several years back: "MYSTERY NEW LOOK IN NEW JERSEY". Our old and wise mentor, Mr. Linsky, had posted some pictures in the thread, but the pictures are now gone. I think there might be photo links as well. You are just lucky that I'm a die-hard INSOMNIAC!!!!!!!!!! 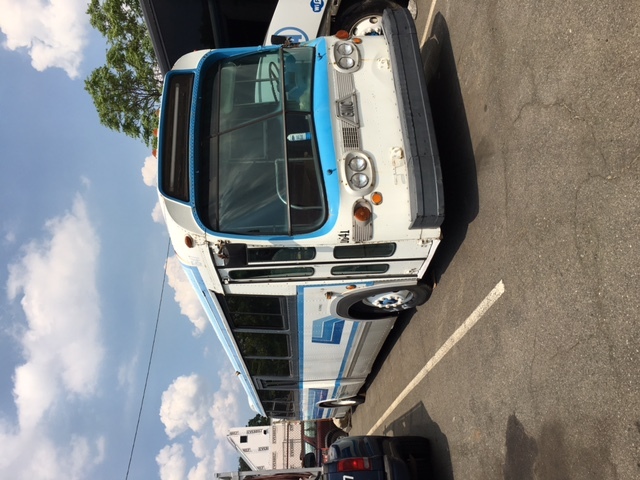 Interesting history of that bus...it started out working for PTC in Philly, eh? As for "Hudson Body" in Hoboken...I thought that Hudson Body is in Jersey City on Tonnele Avenue, where ABC Bus now operates...the Academy garage in Secaucus where the bus now sits, is the former Body-Rite company shop. Academy uses about half of it, and Prevost rents out the other half. As recently as the 80's (last time I was in that area) there was a large bus yard on Tonnelle Avenue (I think this was "HUDSON BUS") in the Jersey City area; I used to see various NHBL buses there, as well as some RED & TAN coaches. I will be most interested in learning more on this interesting coach! I was told by a couple of nybs drivers that they were testing out the three different engines. Also each had a variation of the nybs paint.